Did you know that we eat with our eyes? It’s true! They did research with a group of sommeliers, basically professional wine tasters, (what a job!) to determine how much this is true. These professionals received white wine that was dyed red to taste and describe. Shockingly, they described the wine the way in which one would describe a red wine as opposed to a white wine. Even experts taste with their eyes. 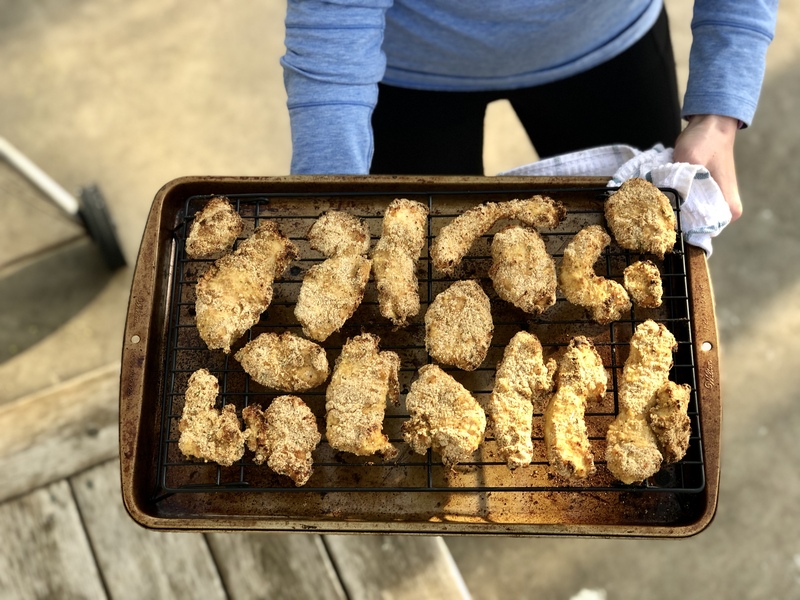 Scrambling around making dinner last week, I decided to grab a shot of my crispy chicken fingers, one of my family’s favorites. This less than perfectly curated picture was meant to just share the story of my dinner on social media. 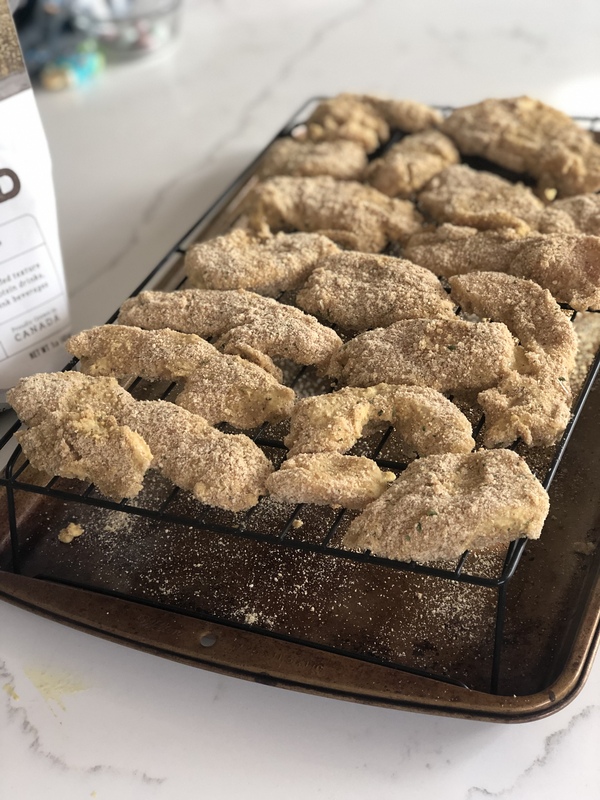 I shared it to give the “hack” of using a wire cooling rack when baking crispy chicken fingers to get that perfect crunch on both sides that usually only comes from frying. I thought, like usual, my crispy chicken fingers would get a few likes and comments but I didn’t expect the response that I received. The people have spoken, this picture is real life, and apparently you think it’s real awesome. This recipe is truly one of my favorites so it is so exciting to have it finally on the website. I promise to provide some updated pictures soon, but in the meantime, here is that killer recipe you all have been asking for! The breading is egg-free which is great for those needing to avoid eggs. It also has flaxseed in it, which provide extra fiber and gut healing benefits in an other-wise gut neutral dinner entree. I usually thin out the reserved sauce with a little olive oil and use it to dress my salads.